People take issue all the time when an MMO isn’t like some other game it’s based on. The Elder Scrolls Online isn’t enough like Skyrim. Star Wars: The Old Republic isn’t enough like the Old Republic single-player games. Guild Wars 2 isn’t enough like Guild Wars. 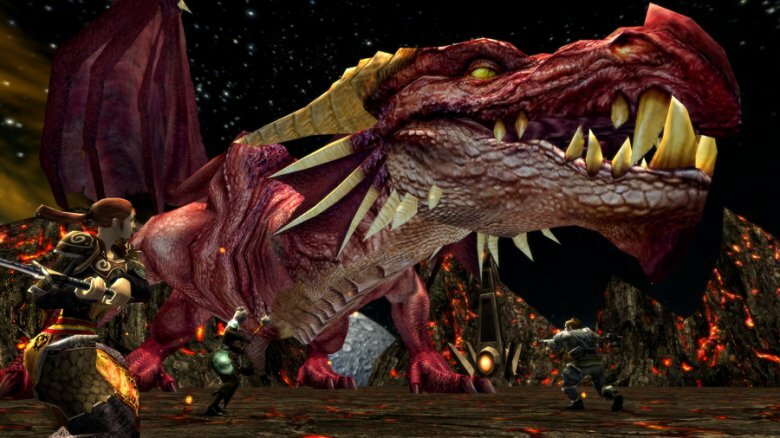 Well, Dungeons & Dragons Online is like Dungeons & Dragons – for better or worse. 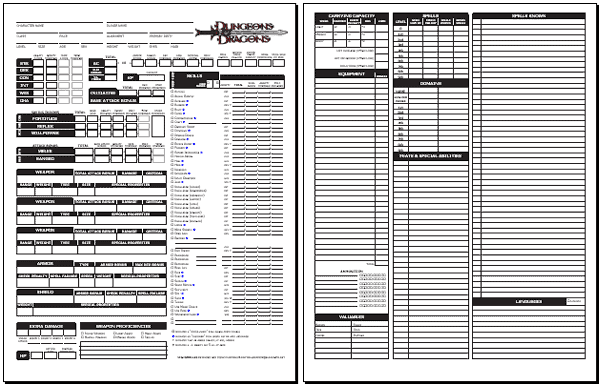 Even a first-level character in D&D has a goodly number of options. Spellcasters have a half-dozen or so spells to pick from, fighters have a few feats and other combat options, and so on. As the game goes on and your character gains levels, you get even more spells and a list of abilities and items a mile long. Real-time video games don’t give you that luxury. As anyone who’s had 30+ skills on their bar knows, you have to use those abilities (or at least a subset of them) in real time. We all manage that, in time, but usually not right from the start. DDO also takes the damage system from D&D and, while making it a little more video-game friendly, still carries over several conventions from pen and paper. Most notably, you don’t heal or regenerate mana points out of combat without using an item or resting at a designated safe point in a dungeon. Levels are also D&D-scale; the original game only let you progress to level 10. But if you’re looking for an authentic D&D experience… well, Turbine got that right. I enjoyed it, but the challenge level made for a decidedly un-fun solo experience, even with henchmen. The best times were had when I found a person or three to run with. If you can find some friends and treat it like an old-school D&D campaign – i.e., expect lots of death – you’ll probably have a blast. This entry was posted in 50 in 50, MMOs, Video Games and tagged Dungeons & Dragons, Dungeons & Dragons Online, Guild Wars, Guild Wars 2, Skyrim, SWTOR, The Elder Scrolls Online, turbine. Bookmark the permalink. I thought it was a lot of fun in a group, really felt like “running a dungeon” in the pen-and-paper days. It’s just got a not-insignifcant learning curve and the later content (some of which I sampled as part of my press duties) look absolutely diabolical. I agree that running in a group is (a) a lot easier and (b) a lot more fun but isn’t that true of most MMO’s ? I’d also point out that the game has changed somewhat since 2009. It’s become a lot more solo friendly , the level cap is now 28 (due to rise again to 30 in the future) and for those willing pay for an expansion , Turbine have now added a Forgotten Realms area to quest in. It’s good for trying out the game to see if it’s “your sort of thing” but if you wish to play for longer they *really* twist your arm into going for the subscription. For someone bored with WoW and looking for something different DDO is certainly worth a try. Just be prepared to end up paying the $9.99 monthly sub if you intend to play “full time”. Sure, it’s more fun to group in any MMO, but most of the time I don’t mind running around by myself. And it’s usually not necessary to group, but with DDO, it felt much more challenging, right from the early stages, and I wish I’d had someone to team up with more often. I think I even have a lifetime sub, which Turbine gave me, but I’ve only logged in with it once. It’s definitely different, I’ll certainly give it that. Really, kinda unlike anything else out there, which can be both a blessing and a curse.